Navigation system for double shield TBMs which – in technical respect – are the most demanding boring machines in tunnelling. 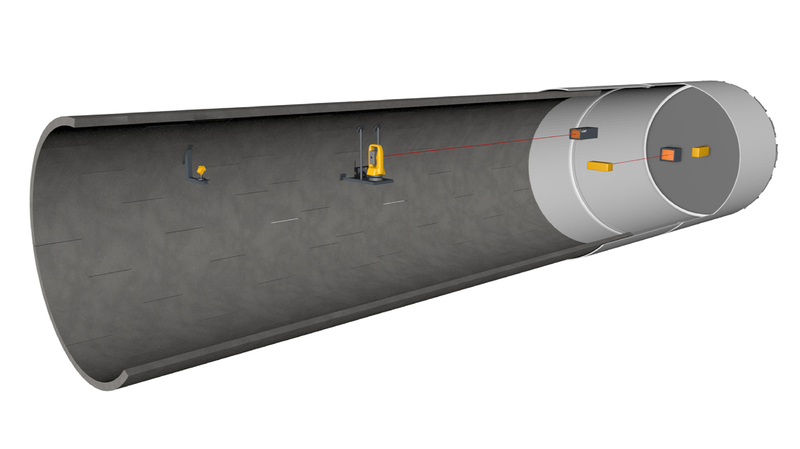 Based on a total station, a target unit installed within the TBM shield and other components, it determines the current advance position. In addition to calculating and displaying the current advance of all parts of the machine, in particular the front and gripper shields, information is available regarding the comparison of roll between the front and a gripper shields.